Many people have been sold LIC policies without making them understand what is that policy and how is that structured for you. I have recently been informed by one reader how an LIC agent sold her a policy claiming it to be “a great opportunity” and gave her wrong information about the policy and the actual thing was totally different, which she discovered from another LIC agent years after. I have been taken for a ride by a cheating “char so bees” LIC agent. Please help me. In 2006 I got married and moved in with my husband to a very remote mountainous region. Soon we had a Lic agent pestering my husband about taking a ” good” life insurance. I had read in a Readers Digest issue about term insurance and asked the agent about the same. But that shameless fellow said that such a thing was not available in LIC. Since he was the most “renowned” agent, I trusted him and took the next best thing he offered – a 22 year 16 lakh money back policy Jeevan Anurag in which I would have to pay Rs1.21 lakh per annum for 7 years after which we would start getting money back( Rs80,000 in the 7th, 8th, 9th, 11th, 12th, 13th, 15th, 16th, 17th, 19th, 20th, 21st year and 3, 4, 5, 9 lakhs in the 10th,14th,18th,22nd year). He also said that our as our policy got older we would have to pay less premium. I did’nt quite understand when he gave us 4 policy papers and questioned him about it on two occassions. But he asked us to trust him and ” reap the benifts of this incredible policy”. I had my doubts but I was naive and did not want any trouble. 2 months back we got transferred to a more” civilised” town and soon we had a new LIC agent knocking our door. As we talked about my previous policy this new agent said that he has never heard of such a policy and asked to see the papers. I was dumbfounded when the agent told me that I dont have a 16 year policy but 4 different policies of 4 lakhs each for 10,14,18 and 22 years of which the premiums are Rs 46032, Rs31842,Rs 24355, Rs19357. Jeevan Anurag provides the following assured benefit-“..an amount= 20% of of basic SA at the start of the year during the last 3 years before maturity shall be payable . At maturity balance 40% of basic SA+bonus…”. now I am in such a state of confusion that I dont know what to do next. Should I discontinue or should I continue ??? I see a lot of sense in what you say and I would really like to invest into some of your ideas but my money is stuck and I dont know where to go from here..Where I live the only financial advisor available is the LIC agent and I dont trust a word he says so please show me a way out.. I really need your help. And is there a way I can get back at that sleazy agent? Help?? please..
oops .. that really hurts .. I can see that you are mis-sold the policy , The returns which you mentioned to me also looks little cooked up , please check the numbers once again , if needed involve that new LIC agent to find out what is the exact money you are going to get back in different years . If you have 4 lacs policy for 10, 14, 18 and 22 years, then that 80k figure is correct. but looks like the 3,4,5,9 lacs thing little cooked up . you should be actually getting 1.6 lacs + Sum assured in each 10th, 14th, 18th and 22nd year. My estimate is not more than 2.5 lacs in each 10th, 14th, 18th and 22nd year. max 3 lacs… Apart from this the premium of 1.21 lacs is to be paid upto 7 yrs, that is true, but after that, only the first premium will stop, the other 3 will continue and then 2nd will stop in 10th yrs .. and so on. As you can see from https://www.licindia.com/children_need_001_benefits.htm that the premium stops only at n-3th year of a policy . Please try to understand the policy yourself. Regarding tracking down that LIC agent , you might have phone or address or some sort of contact . If not , Contact LIC and find out your LIC agent name and agent number or something . File a complaint with LIC on this matter and once its not taken care within 2 months, file a compaints with IRDA on this . Take this matter to consumer court . I am giving all these suggestions but not sure if this will be of too much help , because you guys have signed the document which says “I hereby understand and agree with Policy Document and am responsible for all the invesment decision” , Hence I am raising my hand to help you but fingers are crossed . Apologies if I my words sound little rude , but I am an emotional person . i purchased LIC Market plus in 2008 and have completed 3 years . i was paying Rs 10000 half yearly in growth fund. Can i stop paying premium now? what are the advantages and disadvantages? Hi.. I received following adv from my LIC agent and want to get some opinion on LIC’s ULIP plan, how it is different than other ULIPs ? 1. Market Plus-I shall be withdrawn w.e.f. 1st July 2010. The new avatar of the plan shall not have a lot of attractive features currently available. 2. The entry age 75 years shall not be available in the popular ULIP. 3. The ULIP shall not be available Without Life Cover. 4. There shall be no provisions to avail Top Up without Life Cover. 5. The Lock-in Period shall be of 5 years instead of 3 years. 6. Market Plus-I plan has ‘No Surrender Charges’ for the surrender after 3 years from the date of commencement. 7. Market Plus-I is one of the highest selling ULIP’s of LIC and the big fund size has its own advantages in terms of better investment opportunities as well as proportionately lower average administrative expenses. 9. Market Plus-I is already regulatory compliant in terms of the ULIP instructions concerning the charges etc., implemented w.e.f. 1st January 2010. 10. Market Plus-I is a pension plan and the amount invested upto INR 1 Lac per annum qualifies for the Income Tax Benefits U/S 80C irrespective of the mode of payment (single or annual) and extent of risk cover (with or without life cover). most of the things are true for any ULIP , points like 2,3,4,5 are because of new regulations from IRDA and something specific to LIC . IGNORE . I understand and agree with your point . Ignorance can not be considered as the reason for sympathy , but in our country like India , where people hardly have any knowledge in Financial planning and have a mentality which is not very helpful in Financial planning , Everyone will just shout after they are cheated . 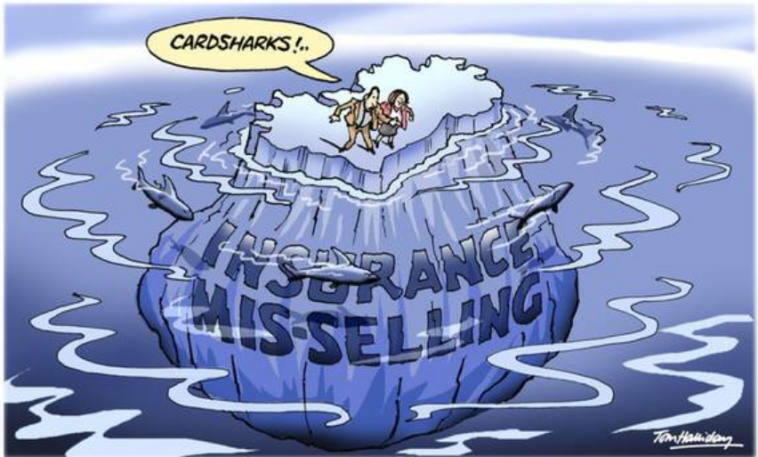 We are now slowly coming to an era where people should be aware of what they are doing and take responsibility for that what have bought, Thats the reason why 99% of Insurance policies holders have actually messed up there Insurance by taking Endowment policies which hardly cover them .. I think you are correct , We can track him using the policy document number. Totally Agree … the main onus is on investors , LIC agent is not the real culprit . That makes sense , agent will not put other agent number on the policy because of monitory interests . I will put the sample in some weeks .. working on it . thanks , I will look at it . I went to a shop to buy a washing machine. The shop keeper showed me the motor and the wheels – and said I could also drive it to the office. Then he said it has a cooler which will function like an a/c when I did not use the washing machine, and I could also store things to cool it. Now that I have bought it and brought it home..it does none of these. Can I go to a consumer court? Jago investor please help.They should ban this wash machine company, what do you think? All the salesman's fault is it not? There are such bad people on your site who say I should have done my homework! Am I in school? c) Catch hold of the Insurance agent (using the agent code mentioned on the policy document) who (Mis)sold you this policy and try to get back the commission amount that he has enjoyed all these years (This money should be sufficient for you to take the best available term insurance for millions of rupees) If he does not return the commission money, then threaten him that you will file a complaint with the IRDA for unfair business practices & ensure that his agency is cancelled. (He cannot become an agent from other companies also). And also file a complaint with IRDA. IRDA takes these sorts of complaints with high priority. You can try out Option b and c.
I am also in the same bot even though not as bad as yours. I have several policies and am paying around 1 lac per year. However, coming back to your qtn, i guess you can stop paying ur premium after 3 yrs or so n the policy will continue. On matuarity you will get the amount paid + bonus. Kindly check this with the agent or can someone throw some light on this one. n then you can invest the same how manish advises. Also manish it would be great if u can post some sample financial planning that u did. If agent A is using some other agent's (B) code, A will not get the commission, but B will. So why will agent A work so hard on fooling people to earn commission for agent B? If agent B is giving partial commission to agent A: In this case, agent B is also a criminal (more than or less than A, I will not comment on this). So if agent B can be traced and punished through the agent code written on the policy, I think it is a good deal for all of us. I can sympathise with you. But I believe that investors do not do their homework before jumping into such big decisions. An LIC agent always shows a rosy absolute returns scenario and people tend to get carried away. Today there are so many sources where one can recheck and also understand the details of what they are getting into. In general your agents' code is printed on policy document. I do have it in the policies that I have. Alternatively visit your nearest office / or the LIC office where the policy was issued from and they should be able to help you out. The agents' particulars are not difficult to trace as they get a commission out of every premium paid. But to be honest, as Manish pointed out, I don't really know what will happen unless you have a copy of illustration (duly signed by both parties) that the agent originally used to convince you. It`s a bad bad world out there, call me paranoid, but all these agents out there are out to screw us for their commissions. Thank god, there are blogs like yours which are spreading financial gian. However, what about the the significant majority which don`t browse the net?. Easy prey for those commission hungry sharks. I think the agent can be tracked with agent/advisor code that appears in policy document. But this still might not be the actual agent . Because the agents who sell the policy and do all the formalities might use other agents code and name. But this might be worth a try if its not already done.